For business travel or San Francisco, California vacations, Holiday Inn San Francisco Fisherman&regs Wharf hotel welcomes you to the Bay City. When searching for top San Francisco hotels near Fisherman&regs Wharf, stay in comfort at our full-service San Francisco lodging. Walk to attractions including Pier 39, Alcatraz, Bay Cruise ferries and Ghirardelli Square. Hop on a cable car outside our hotel to visit Union Square, Financial District, Moscone Convention Center, Chinatown and AT&T Ballpark. After exploring the area, retreat to our San Francisco, California hotel to unwind in a room appointed with high-speed Internet access, in-room games and pay-per-view movies. For dining, enjoy a meal at the 24-hour Denny&regs or head to our Bristol Bar & Grill for a tantalizing meal and a drink. 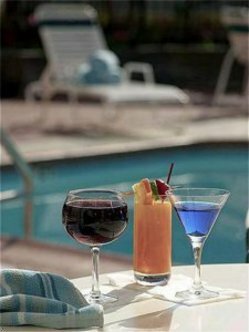 Additional on-site amenities include: laundry facilities, fitness center, an outdoor heated pool with sundeck and secure parking is available for $39 per day. Reserve your stay at our pet-friendly hotel in San Francisco, CA to be greeted with attentive service and superb accommodations in an unmatched locale. For spectacular savings, book a San Francisco travel package or hotel deal. This hotel is committed to providing accessible facilities under the American Disabilities Act. If your accessibility needs are not met, please contact the Hotel Manager on Duty. Should you require additional information regarding accessible facilities for guests with disabilities, please call 1-800-Holiday (U.S. and Canada) or contact the hotel directly. For the hearing impaired, TDD service is available at 1-800-238-5544 within the U.S. and Canada.